The newly built center sold for more than $460 per square foot. A private California investor acquired Claremont Marketplace, a shadow-anchored retail center on the edge of Banning Lewis Ranch. The newly built center at 7935 Constitution Ave. in Colorado Springs sold for $7 million, or more than $460 per square foot. The 15,171-sf center is shadow anchored by a 123,000-sf King Soopers Marketplace. “The property is well positioned in a rapidly growing submarket with very limited retail competition. The recent rezoning of a portion of the Banning Lewis Ranch to allow 1,000 new homes to be built is only the beginning of the exciting growth that will occur in this submarket over the next 10 years,” said Ryan Bowlby of Marcus & Millichap. Bowlby and Garrette Matlock, investment specialists in Marcus & Millichap’s Denver office, sold the property on an off-market basis. 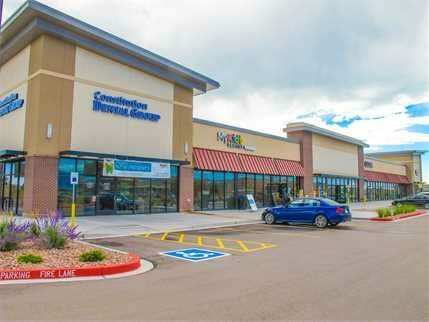 The biggest draws of the center include it being new construction, its location next to the growing Banning Lewis Ranch and it being shadow anchored by a new King Soopers Marketplace, the first in the Pikes Peak region, which offers not only expanded grocery offerings but also general merchandise. Construction wrapped up on Claremont Marketplace this year with tenants currently completing build-out. At the time of the sale, the property was 86 percent occupied with the unnamed seller providing a rent guarantee on the remaining vacancy. Tenants at Claremont Marketplace include Pacific Dental Services, Dickey’s Barbecue Pit, Subway, Lux Nails, Great Clips and Patriots Liquor.